If you experience any of the above scenarios, call Metropolitan Plumbing. We have been working with hot water systems for over 20 years. Our plumbers are regularly trained and repair all era of systems, even those no longer in production. In the event that a repair is not feasible, we can replace your system with a more efficient and cheaper to run unit that is right for your needs. Our plumbers can fix solar powered, gas, electric and heat pump hot water systems. We can have a fully qualified hot water plumber to your property within an hour of your call* in a plumbing emergency. Our team of licensed plumbers are available 24 hours a day, 7 days a week, including all public holidays and weekends to assist you when a hot water disaster strikes. Our plumbers can repair, replace or supply and install your hot water heater. Do you need your current system repaired or replaced? Hot water systems can malfunction at the worst of times, whether that be before you’re about to have a shower or wash the dishes. We understand that not everybody will find a water heater problem during business hours so we’ve made our qualified plumbers available 24/7 to ensure that your hot water issue is fixed promptly, minimising downtime for you! Metropolitan Plumbing can discuss the different options available for you. We will supply you with the most economical and efficient model to suit your home’s hot water heating demands. Contact us by phone or complete our online booking form whenever you need us. Can you repair a leaking or broken hot water system? It may be that your broken system can be fixed with a simple repair or minor part replacement. However this work cannot easily be done by someone without the skills or experience. If you can see that something is not right with your hot water system, take a note of the issue, exactly this issue is visible and the model number on your unit. Our specialised vans are fully stocked with parts sufficient to fix 90% of the jobs our plumbers attend, ensuring your solar powered, gas, electric or heat pump can be repaired promptly with minimal downtime for your hot water system. We pride ourselves on being able to offer personalised solutions for all your hot water system issues. That’s why our plumbers undergo regular training on repairs and replacements. They’re able to fix any problems with your hot water heater. Unless you’ve already decided you want a new hot water unit installed, completely replacing a hot water system will generally be done as a last resort. Our plumbers will assess the situation and then inform you if a repair or a replacement will be the best option. If it is decided that a replacement is required, our plumber will talk you through your options. He will consider your circumstances and recommend a unit that suits your needs. This will take into account the size of your home, your usage, space for a heater and whether or not you have access to gas. The fuel source (gas, electric or solar) – If you want solar powered, does your home have the right set up to accommodate this or would it be more beneficial for you to choose a heat pump system? The capacity (size) – The model which is going to be the right size to suit your home and your hot water requirements depends on the amount of people in your household, as well as the size of your property. Efficiency rating – Inefficient hot water systems can increase the running costs and your household electricity bills. It will also result in a larger carbon footprint. If you’ve simply decided you want to upgrade your current heater to a more economical model, our plumbers can help your choose one within your budget. Metropolitan Plumbing will discuss these factors with you, to ensure the model you choose is consistent with your requirements. Then, he can provide you with a no obligation quote for the supply and installation of your new hot water heater. We have quick and easy access to a huge range of systems which includes all major brands, models and types. YOU DIDN’T BUDGET FOR A NEW HOT WATER HEATER? YOU’RE NOT ALONE – A replacement can often place financial stress on your household. Metropolitan Plumbing can offer our customers no interest EVER* payment plans. Upon completion of the job, simply tell your plumber you would like to take advantage of this option. Repairs can be conducted for leaking pipes inside the system and faulty or worn parts. A storage tank leak could be due to a variety of reasons ranging from cracked solar panels through to a gas leak or tan corrosion. In many cases a repair is just a simple matter of changing a worn or faulty part, tightening any loose connections or adjusting the thermostat level. But your issue could be more serious, such as a corroded storage tank or a gas leak. Never leave a hot water heater repair for too long, doing so could cost you more in the long run. Do you repair every type of system? 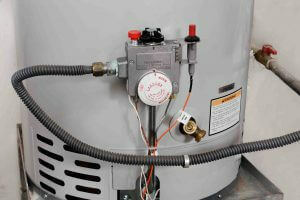 A faulty hot water system is the last thing anybody wants to see in their home or business. So the last thing you want to hear is a plumber saying they can’t repair your specific type of water heater. Metropolitan Plumbing is qualified to repair and install all types and brands of hot water systems. With electricity getting more expensive, people are turning to cheaper appliances. Gas is becoming one of the most popular types of system on the market. It is cheaper to run and emits fewer greenhouse gases than electric models. Water heaters that use a gas-powered element to heat your water supply are extremely efficient and economical. They will provide you with a more constant supply. The star rating, delivery method and model of your system will also make a big difference to your energy costs. It is important to ensure that your hot water heater is adequately sized to suit the size of your property and needs. Available only in gas and electric models, the continuous flow systems use a heating element that automatically switches on when a hot tap is turned on. Water is diverted through the unit where heat is transferred into it before being delivered to the faucet. The heating element then switches off when the hot tap is turned off. This means no excess energy is wasted heating water that isn’t going to be used, increasing efficiency levels. Unlike the continuous flow model, which heats your water on demand, a storage system consists of a storage tank which holds and heats your water so it is ready for you when needed. As the hot water is drawn out from the tank, it is replaced with cold water. And this temperature change automatically switches the heating element on to begin the reheating process again. Once the water is back to the set temperature, the heater switches off. Storage systems are available in a variety of tank sizes to accommodate for different-sized homes. We have highly skilled and experienced plumbers who are familiar with the most popular makes and models of storage heaters, including Rinnai, Rheem, Dux, AquaMax, Chromagen, Vulcan and Bosch. A heat pump system is an alternative to a solar powered system. It still uses renewable energy to heat your water, but without the need for solar panels. A heat pump works in much the same way as a refrigerator, but in reverse. It transfers the heat from the ambient outside air into the water, through a heat exchange system, so it can heat the water stored in a tank ready for when you require it. A heat pump uses approximately one third of the energy of an electric system – saving you money on your energy bills. A heat pump is an excellent replacement for an electric storage heater. This is because they are both similar sizes, but heat pumps are a perfect alternative to a solar powered system if solar panels are not a viable option for your property. Electric hot water systems are generally the least energy efficient and cost effective models because electricity is very expensive. High levels of greenhouse gases are produced to generate heat compared to other fuel sources. An electric heater uses a sole electric heating element to generate hot water. Electric heaters are still very common but many state governments are looking to phase these systems out due to their high energy consumption. If you need a repair done on your electric water heater, we have everything needed to work with any electric system you’ve got. However, if you live in South Australia, a replacement isn’t possible since legislation introduced by the government forbids new installations of electric units. Unless you qualify for one of the exemptions, we will need to replace your un-repairable water heater with a different type of system. By harnessing energy from the sun, the solar systems are an economical and efficient way of producing hot water. A solar powered heater will reduce your family’s impact on the environment. Additionally, it will save you money in by helping reduce your energy bills. A solar powered heater absorbs energy from the suns rays through solar collectors situated on your roof. This energy is then used to heat water stored in a tank. During periods of low sun light, you can still ensure that you have a continuous flow of hot water by pairing your system with a solar powered booster. This booster will automatically kick in when required. Do you repair and replace all hot water brands? Like any appliance or fixture, there are many different types and models of hot water systems available in varying litre capacities in Australia. Which can make it quite difficult to know exactly which hot water system is right for your home or office. Metropolitan Plumbing has the expertise to repair, service, replace or install your hot water heater. Whether solar powered, gas, electric or heat pump. If you are looking at an upgrade or brand new heater installation but are finding the choices available to you overwhelming, book a plumber from Metropolitan Plumbing. We will happily come to your location and discuss all available options in regards to your hot water system. At the conclusion of our assessment, we will cover all fuel sources available to you and recommend the most economical and efficient system to suit your hot water demands.